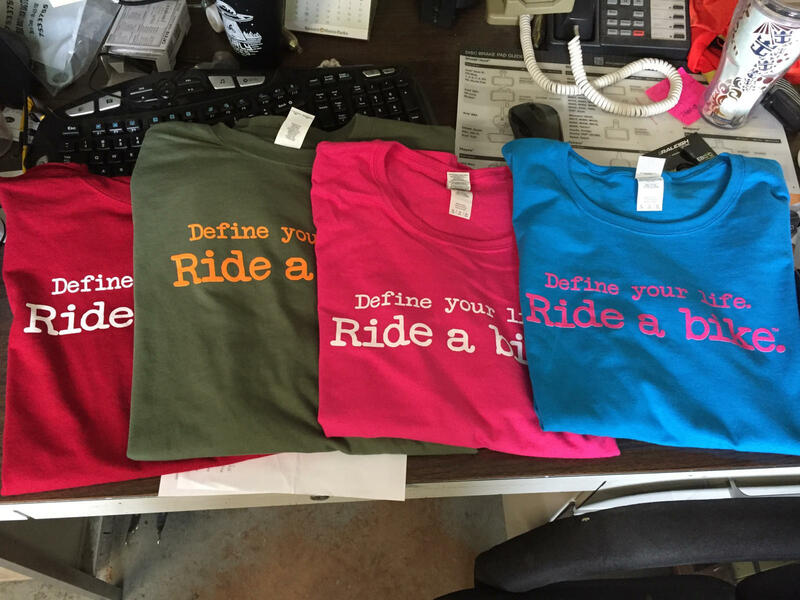 Century Cycles Blog: Celebrate 330 Day on Friday, March 30 with your favorite t-shirt! Celebrate 330 Day on Friday, March 30 with your favorite t-shirt! The Akron/Summit Convention & Visitors Bureau has named Friday, March 30, 2018 as 330 Day! To join in the celebration, where your favorite t-shirt that has a local 330-area theme! It's casual Friday, right? Post a photo with your 330 t-shirt on Friday using the hastag #330ShirtDay to Facebook, Twitter, or Instagram, and you might win a pair of round-trip tickets on Spirit Airlines! As a local business, our popular "Define your life. 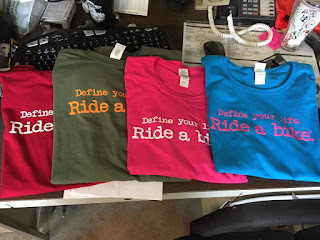 Ride a bike.™" t-shirts sure do qualify! Wear one of your old favorites, or pick up one of our NEW colors (show above)! Any locally-themed t-shirt will do ... a local school, church, other local business, or sports team!